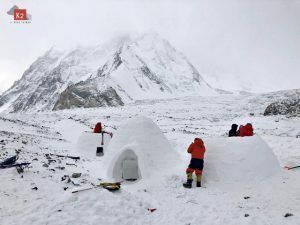 You and your Sherpa friends completed two amazing climbing projects within a month: a trilogy of first ascents by a pure Sherpa team and your first solo ascent of a Nepalese climber. What is the message that you want to send to the climbing world? 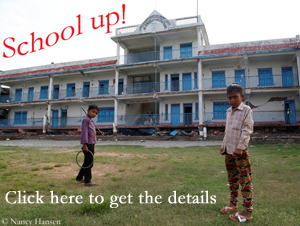 Firstly: After the earthquake, Nepal is suffering from an economic crisis and tourism is the main source of our income. Fewer tourists means we suffer. So our main goal was to spread the news that Nepal is still safe to trek and climb. Only writing on social media and websites was not enough because fewer people would believe it. So we thought it was a good idea to prove it by action. We made our plan in the first week of September and started and completed our projects in October. Secondly, we wanted to raise interest for climbing among Nepalese youngsters. 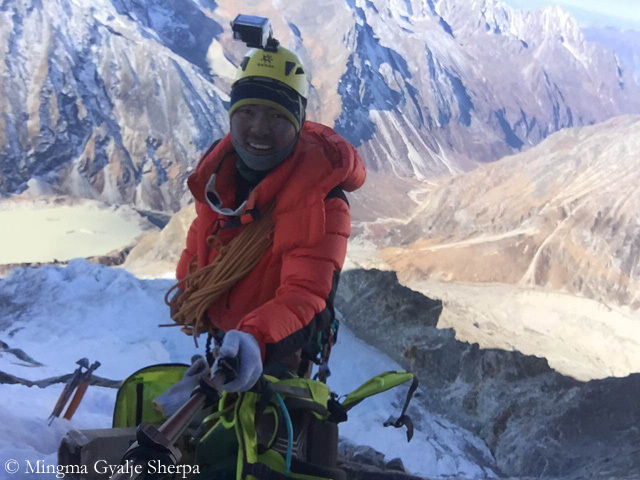 Usually Nepalese climbers have been working for foreign climbers but now it is changing. We do climb for ourselves too. We can say changing profession into hobby. Thirdly, we all are from Rolwaling Valley in Nepal. Rolwaling is a very remote area without electricity, transportation, proper school or health post. The population of that area used to be more than 300 people but only about 50 are living there now. If the situation remains the same, the valley will get emptied within ten years. Because of life difficulty, the local people migrate to the capital city. So our concern is to make Rolwaling Valley more popular. We have spots there for ice and rock climbing. So many mountains remain to be climbed but still this valley is backward. If it gets popular, more tourists like to visit it. And more tourists mean more job opportunities. We hope our people may return back to our place. 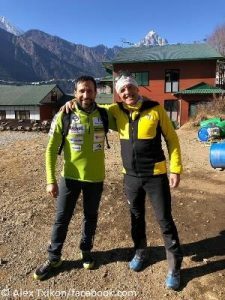 Do you feel that many Western climbers have a false impression about what Sherpas are and should they change their attitude? 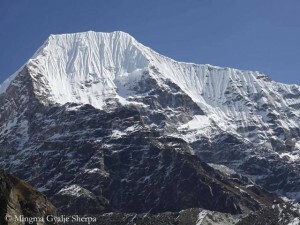 There is no doubt that Western climbers have a good impression of Sherpa. Otherwise, they won’t hire Sherpa for their safe and secure climbing. The demand for Nepalese Sherpa is increasing. Now Western climbers invite Nepalese Sherpa to climb with them in the Alps, Pakistan etc. You are also head of an expedition operator. Is it difficult for you to separate between business and your own climbing goals? I run an expedition company, Dreamers’ Destination. But I usually go to mountains leading expeditions. My people believe on me and climbing with me, so I have to go on mountains. I make my goals considering my business and I have my staff to look after the company, so I have no difficulty. 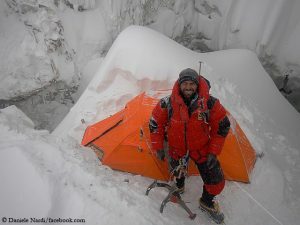 Actually, I was looking to go for the first winter ascent on Nanga Parbat. But after my solo ascent, my parents refused to let me go for it. So I will lead an expedition to Kangchenjunga in April and May 2016. I already climbed it in 2013, so a few friends of mine want me to lead an expedition again in 2016. Then I will go to Nanga Parbat and Gasherbrum in June and July as a part of my remaining 8,000-meter-peaks. Is there any current or former climber who is an example for you? I am big fan of my own cousin Lopsang Jangbu Sherpa who was a guide of Scott Fischer’s Everest expedition in spring 1996. (Lopsang tried to rescue Fischer from the South Summit but could not move him any more.) He climbed Everest four times, three times without bottled oxygen. He was very popular at that time. If he was still alive (He died in an avalanche on Everest in September 1996. ), I am sure he would hold many records on Everest. People are still talking about him and his deeds during that time.